Carla has been a Certified Practitioner in The Masterson Method since 2011. The Masterson Method® is an integrated, multi-modality method of equine massage. It is a unique, interactive method of equine massage in which you learn to recognize and use the responses of the horse to your touch to find and release accumulated tension in key junctions of the body that most affect performance. In contrast to most traditional modalities, it enables the horse to actively participate in the process of releasing tension. It is something you do with the horse, rather than to the horse. This participation and interaction are what makes the method fascinating for those who use it. In fact, if you do not allow the horse to participate, it does not work! Certified in the Masterson Method™ Carla uses quiet methods to discover where the animal is restricted, and encourages release through very gentle and specific touches and movements. She enhances this by working with the animals energetic systems to find blockages and release restrictions throughout the entire horse, from nose to tail. Horses are not isolated body parts stuck together, they are fluid bodies dynamically integrated through their fascia connective tissues. The releases look like magic, but they are based in physiology. Carla works with the fascia using very light, intentional touch and gentle movements. Fascia is the wrapping around the muscles, bones and organs and cavities, connecting all the parts of the horse in a weblike network. It is the most enervated tissue in the body, so when a person touches the fascia above a muscle in spasm, the muscle will release with a very light connection. (Which is good because many of the horses muscles are way too deep to reach with a deep tissue massage). Fascia also acts as a secondary nervous system, passing energetic information through its water molecules. Carla can feel this energy in her hands. She can find stickiness and blockages in the fascia. Each release creates a ripple effect of releases throughout the whole horse. They Love It! “If the nervous system is like a land line, the facia is like a cell phone." Manuel Trigo is a Classical Dressage Master, whose whole basis is Lightness. Everything about his work is exquisite. I am honored to be an included with his school. 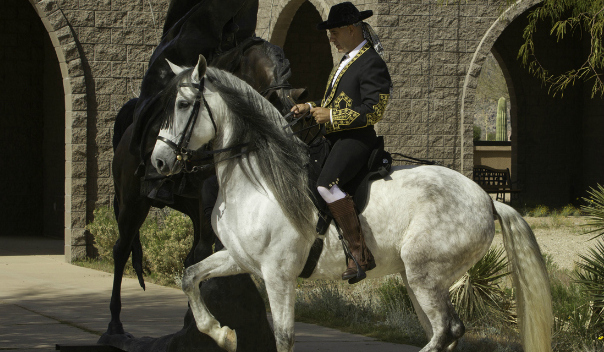 I am sharing at Manuel's clinics in Arizona, and offer clinics at the White Stallion Creek Ranch, beginning October 2017. Session Rates $95, travel charge may apply. Sessions are one hour. Save $15 by coming to me! 1115 West Briles Road, Phoenix AZ 85085 (Nice facility, shades, fans and misters, easy trailer turn around – off Happy Valley and 5th Ave in Phoenix AZ). Your horse will LOVE this session, I promise! We evaluate where the horse is most restricted, identify the holding patterns, and see if anything is extra “ouchy”. Then we release the tension layer after layer. It usually takes a bit of time for the horse to learn how to release – to get used to the really light touch and let down their guard. Once they understand it, they release fast. 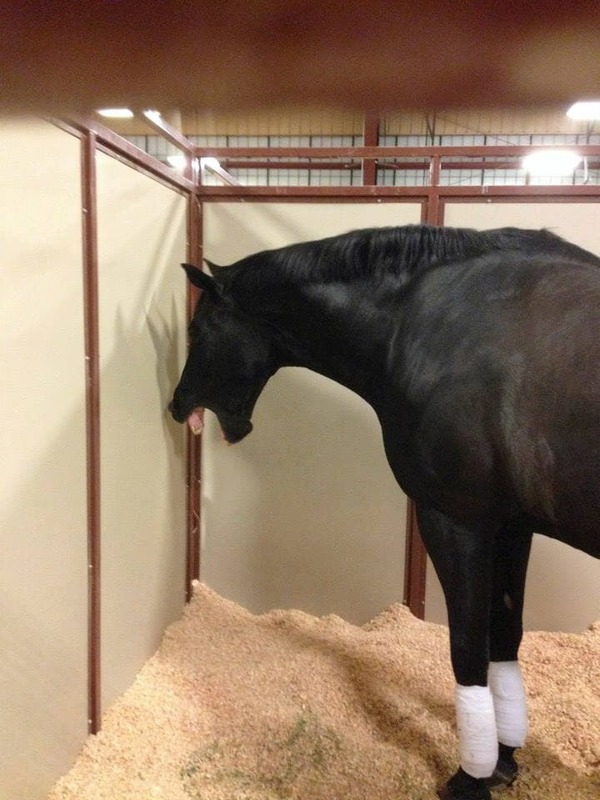 You will even see the neighbor horses releasing along with the customer horse. Its pretty interesting how connected the herd really is! Carla received her Masterson Method™ certification in 2010. She has additional certifications from Equissage, and coursework Cranial Sacral, and in Ortho Bionomy, T-Touch/TTeam, Equinology, and Scottsdale Community College Equine Sciences. Carla's ongoing education is centered around fascia. Icelandic horses are Carla’s breed of choice, and you can see her on the trail with her horses all over the state. Carla is a certified judge for the Equine Trial Sports (ETS ), and supports the local rides with bodywork sessions. In addition to her various horse related certifications, Carla holds a BA from St John’s College (Metaphysics, Philosophy, Science and Mathematics), and an MBA from Columbia University. She taught business at University of Oregon for 10 years before moving to Arizona in 2005, and before that she was the Marketing Director for NERF, way back in the 80s. She has published books and DVDs on shamanism, but really – she lives to ride. Don’t we all?